REAP Hosts a Learning Consortium! REAP, as a member of the Rwanda Education NGOs Coordination Platform (RENCP), was selected to host a learning visit for the other community-oriented NGOs of the coalition. Eight NGOs, including Save the Children and Wellspring Foundation, spent the day observing and learning from REAP’s stellar educational programming. Our Community Learning Center and Library was selected to host this consortium though we have only been open seven months! We are extremely flattered and proud of the effort that our educators pour into the programs. Amongst other commendations, the group appreciated REAP's integrated model of community education and development as well as strong collaboration with the government and other NGOs. One of the member organizations was particularly interested in collaborating with REAP through our garden project. We are looking forward to creating a mutually beneficial relationship with another one of our neighbors and will be sure to share updates! Behind the success of our fruit and vegetable garden at the Community Learning Center and Library stands Jérôme, the village leader of the last three years, who is also trained as an agronomist. 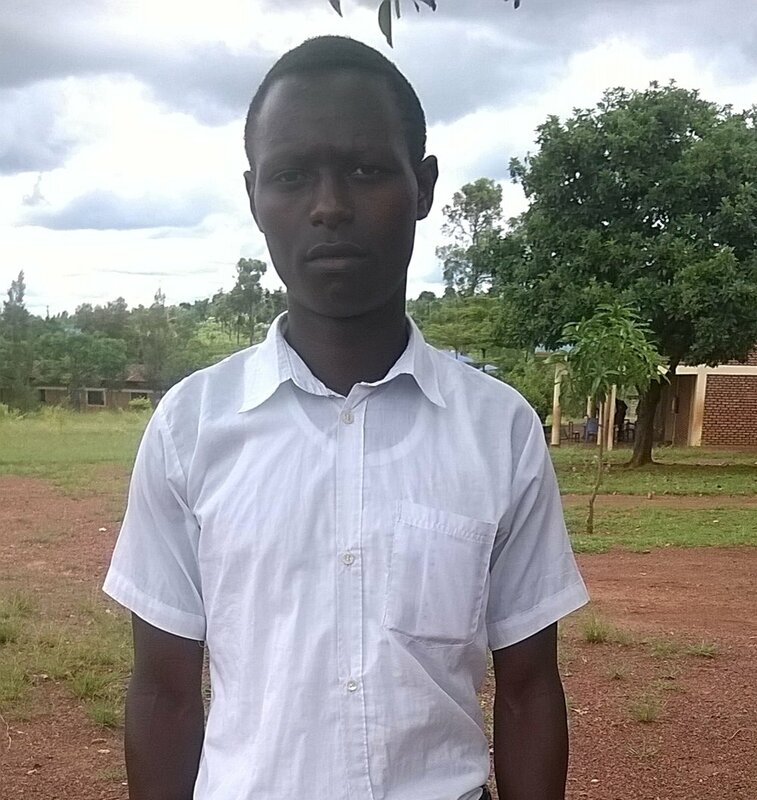 Jérôme has committed himself to bi-weekly community service with REAP where he supervises small teams of community members and demonstrates modern farming techniques. This past season, our half acre garden was producing in surplus! The abundant, crisp cabbages and fresh green peppers were able to be sold to local schools for mealtimes. This means REAP and its dedicated volunteers are on track to meet our goal of self-financing the agriculture programming, and generating income with agriculture sales by 2020. Through a combination of vegetable sales, and community service, we have been able to make leaps forward toward financial self-sufficiency. In the near future, the garden has the capability to contribute its profits to the cost of running REAP’s Community Learning Center and Library. 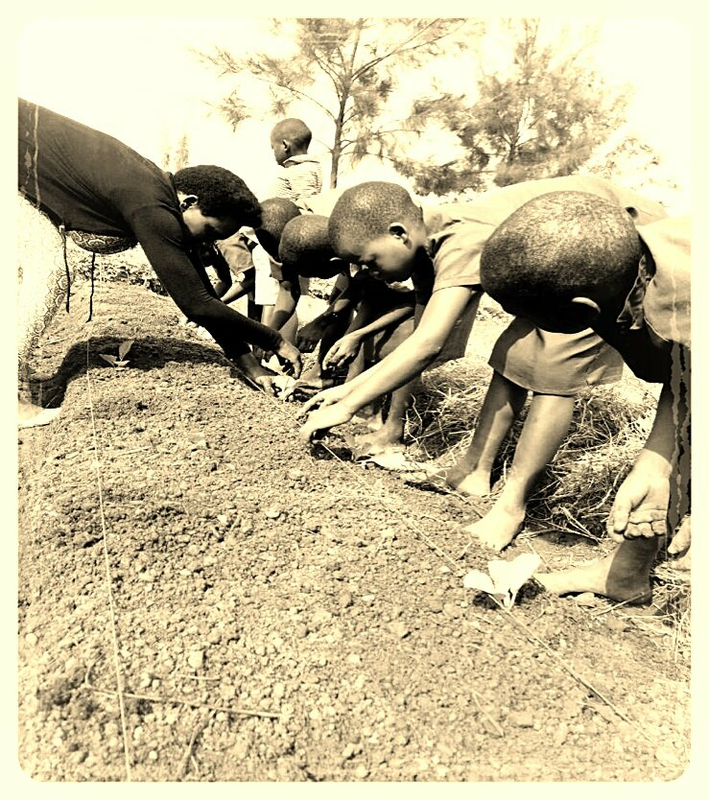 To model ownership and sustainability as leaders, board members started a community service program that engages each member in activities of choice (farming, cleaning, telling stories to children, etc.) every mont. Last month, the priority was to plant vegetables in REAP’s vegetable garden on the grounds of the center. 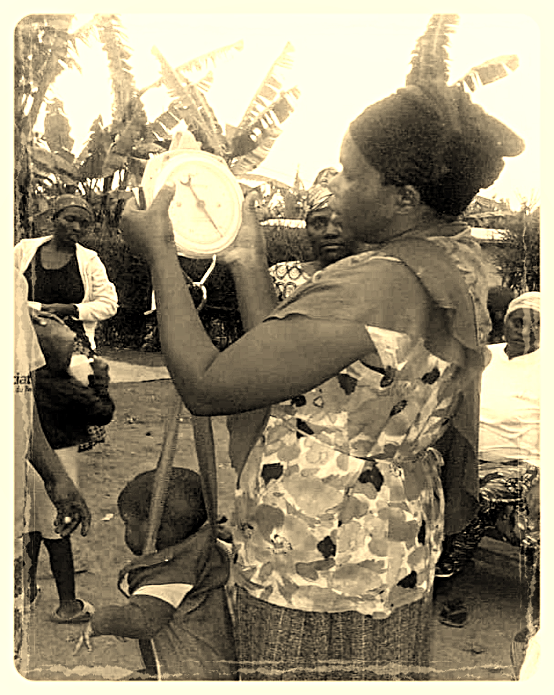 With the aim to fight malnutrition and stunting (impaired growth and development in children), REAP started a nutrition program for children under five in Akabare village. The long-term initiative will benefit around 1,120 children during 2019. On Saturdays, around 50 families gather at the Community Learning Center and Library to work on vegetable gardens and learn how to cook meals using the vegetables to supplement the food they bring from home. We are very proud of parents who delightedly cultivate the land and panting crops for healthier children! Early in the afternoon, Yvonne, the youngest first grader, shows up at the REAP Community Learning Center and Library two hours before the start of the student-centered learning clubs. As the only child in the library with three teachers, she is nervous and starts crying when a teacher asks her why she came very early and what she wants to do while waiting for her classmates. Eugene, one of our teachers, approaches her and teaches her an audio game that builds English language skills. They play the game as he soothes her. She plays the game happily, smiling all the while. Our teachers are trained to establish a supportive and caring classroom environment. As you can see from Eugene’s interaction with Yvonne. Thanks to the generosity of donors, these young people each received a scholarship to attend a boarding school (“school of excellence”) that has bolstered their educational and career options. They are so pleased to have the opportunity to study subjects that they love and that will propel their forward movement. 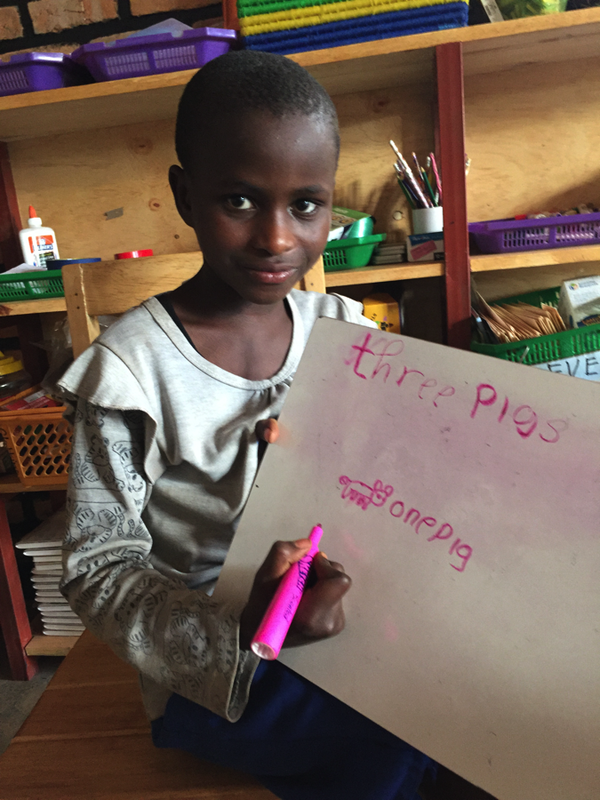 Thanks to donor sponsorships, several young people had the chance to participate in REAP’s literacy enrichment program at our new center. 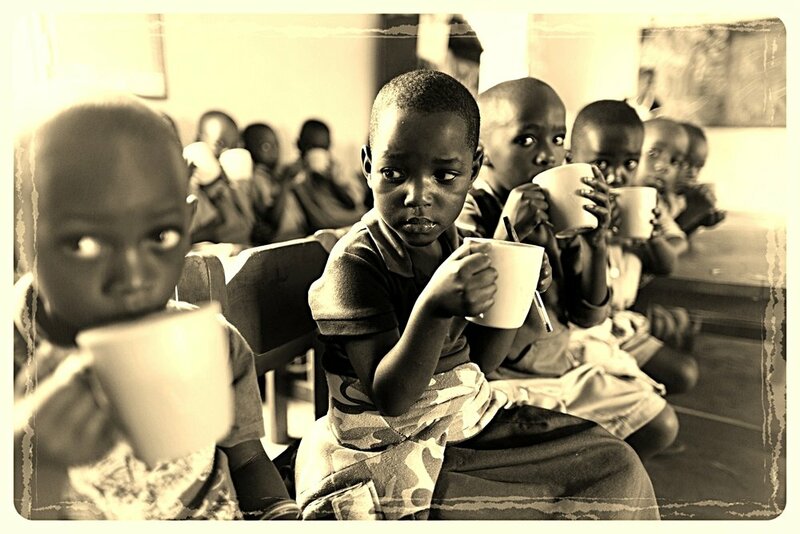 In addition to learning reading, writing, and the speaking of English, students receive a full meal. This provides an opportunity to increase instructional time of a half day of school to basically a full-day program with explicit literacy instructional methodology that the children would not receive at school. Thanks to the generous donation by NABU of 15 tablets with embedded reading content, REAP and Nabu staff will hold monthly reading events at the Community Learning Center and Library. All students are invited to read as many tablet-based books (with teacher guidance) as possible each month. At the end of each week, the student selects a book to talk about with their classmates, parents, and teachers in a story evening. The REAP team and community board selects 7-8 best presenters every week. The top 30 winners of this “competition” will read with selected Rwandan celebrities, local government officials, and REAP and Nabu staff at the end of the reading month ceremony. REAP’s Executive Director Ed Ballen recently presented at the 5th International Conference on Genocide in Sacramento, CA. The theme of this year's conference was Forms of Genocide Across the Globe: Challenges, Responses, and Accountability. Ed's workshop, Restoring Hope One Child at a Time, traced the history of REAP, its strategic efforts, and interventions, in fostering educational growth and social cohesion. Ed's talk addressed building community and connection, aligning with and encouraging locally based initiatives, and strengthening inter-generational learning. Routledge Press will publish the proceedings of the conference. For the first time in the history of Duha Complex School, a graduation ceremony was held for 30 nursery school students. Duha School is the only public school in the Eastern Province to ever hold such an event. Parents, students and teachers proudly marched the streets of the Akabare neighborhood before going back to school for celebration. 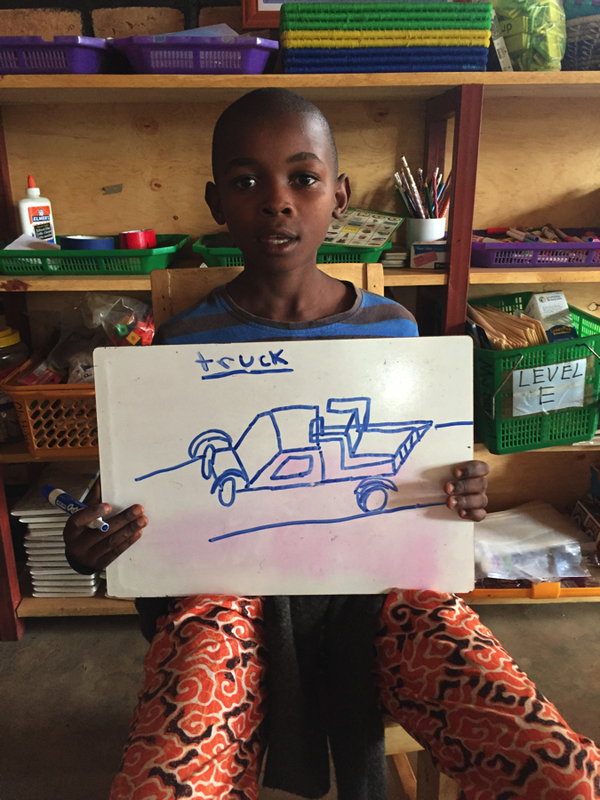 The REAP Early Childhood Specialist initiated this project to help boost parental involvement and students excitement about school, two important issues in rural public education in Rwanda. 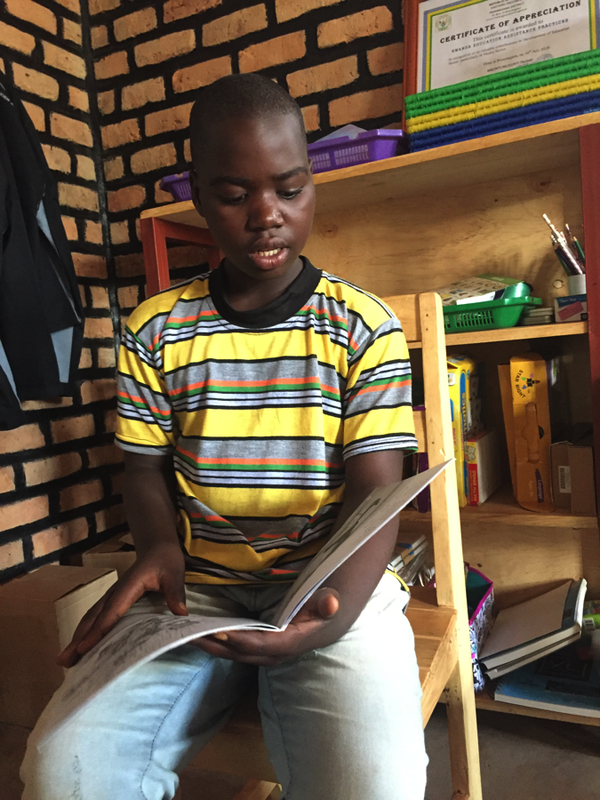 Ready for Reading (RFR) is another local nonprofit that owns a community library that has been in operation since 2009 in Rwinkwavu, Rwanda. Last week, RFR staff visited REAP’s Community Learning Center and Library. They played with teachers and students and taught them many new games that build community and keep students engaged in and excited about learning. They also actively participated in our student-centered learning clubs. The RFR team was impressed by how the center is busy after only three months of operation. 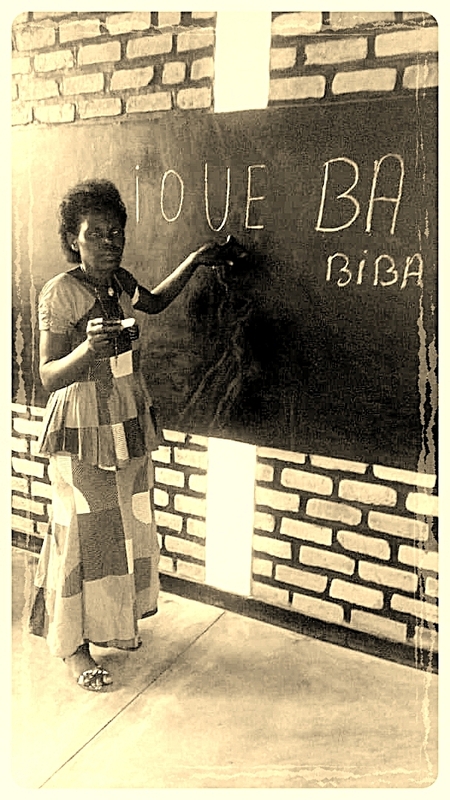 As the only community center in the village and placed at the crossroads, REAP’s Community Learning Center and Library attracts more curiosity from community and passerbys. The notice board in front of the building creates more communication and interaction with the community. Through notices and posts on the board, the community gets to know more about REAP as an organization, as well as the center and its programming. On October 18th, two international NGOs, A Partner In Education (APIE) and NABU (formerly Library for All), trained REAP staff on how to use NABU’s technology and educational content. Four REAP instructional staff were trained on how to use tablets to teach students reading and various activities that develop English language skills. In addition to training 15 tablets (hardware) were donated with content: books in Kinyarwanda and English and other language development applications. Many thanks to APIE and NABU! Our very own Mandela Bruno has been hired by a South African mining company. Born in Musha and raised in Hameau des Jeunes orphanage, Mandela experienced many hardships as do myriad children in rural Rwanda. Mandela received a scholarship from REAP and successfully completed high school with a diploma in hospitality. Upon graduation, Mandela was hired as a chef by Piran Rwanda, a South African mining company operating in Musha. With competitive skills and dependable ethical behaviors, Mandela was promoted to camp manager after a year of employment. As a camp manager, he is in charge of all hospitality services for the entire company. All the best to Mandela!